Last night I had multiple sleep terrors. It was almost unbearable. The state I am in when I realize I am having one is almost terrifying, like a small child not being able to cope with the things they don't truly understand. I am 24 now, I have had sleep terrors my whole life. As an adult they occur less and less, but when they do they are frequent and quite unnerving. I can feel pressure all over my body, I want to move but I can't. It's almost like I can only move if I try my best to, I have to put all my effort into doing so. I try to scream out but nothing ever comes forth. It's like I'm awake but something in my reality is altered, something isn't the way it is suppose to be. I often don't hear anything but sometimes I do see... What I see I'm not so sure I can describe it. Sometimes it feels like a dream within my reality. Something I am deeply terrified of, comes knocking on my door. I'm not sure why I experience these types of sleep terrors. I only wish that they would all together stop. Because I would never wish the panic I come to on anyone else. Is there anyway to maybe limit the amount that can be had as an adult? When kids have them, why is it that they do? I mean they can't really be experiencing stress that leads to this type of experience, can they? Thanks for sharing your story K. What you describe actually sounds like sleep paralysis, rather than sleep terrors. The distinction isn't important to some, as sleep paralysis can be "terrifying" too, but if you're trying to understand it better so you can help ameliorate it, knowing exactly what you're dealing with will definitely help. 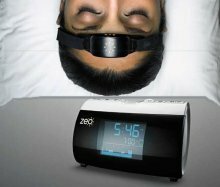 A main difference is that sleep paralysis occurs during REM sleep while sleep terrors occur during non-REM sleep. So there are different processes going on in each. You can read about the causes of sleep paralysis here. 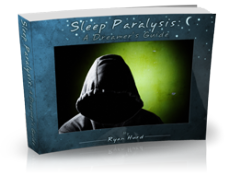 Ryan Hurd has this Sleep Paralysis Kit e-book with some food info on limiting and gaining some control over your sleep paralysis episodes.